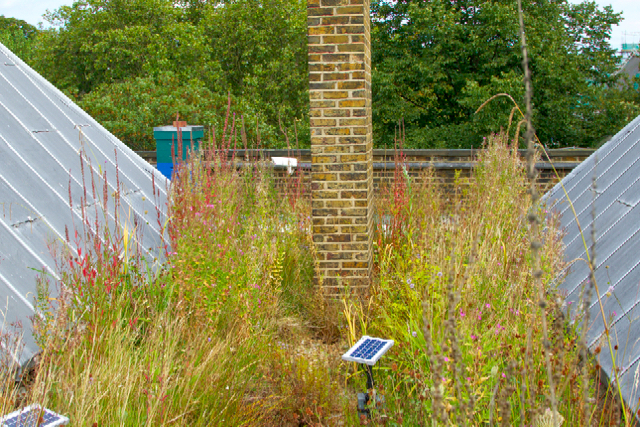 Water quality can be improved when a green roof is installed on a building. Pollutants within the atmosphere and from roofs can cause run off from roofs to have poor water quality. Many studies in Europe and North America have shown that green roofs can improve the water quality of the stormwater that leaves a roof with vegetation and substrates on it. This benefit is in addition to reducing the rate and volume of the stormwater. There have been many studies on green roofs and water quality around the world. Furthermore, It is possible utilise rainwater harvesting of a green roof contrary to claims from other industries. 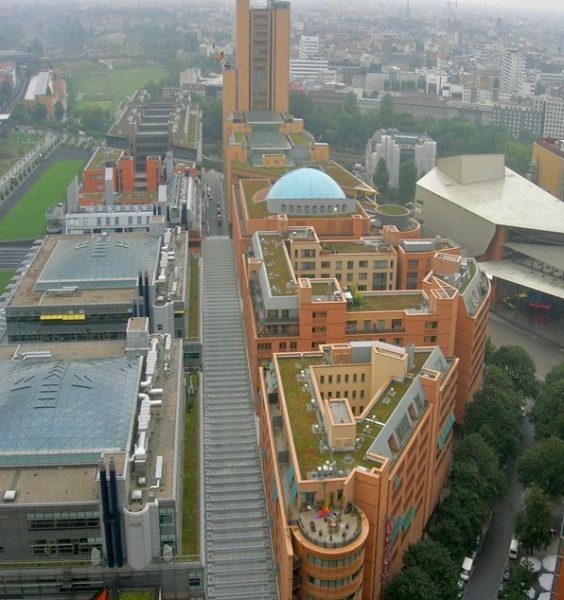 In fact it is quite common to harvest water from green roofs in Germany and Switzerland. Organic material in the substrates can be initially flushed out into the water causing discoloration. On the continent there are a number of mineral based substrates that do not cause discolouration. Where instant green roofs are needed the water tends to be discoloured for a number of years and it is common practice to introduce a blue dye to the water to disguise the discolouration. 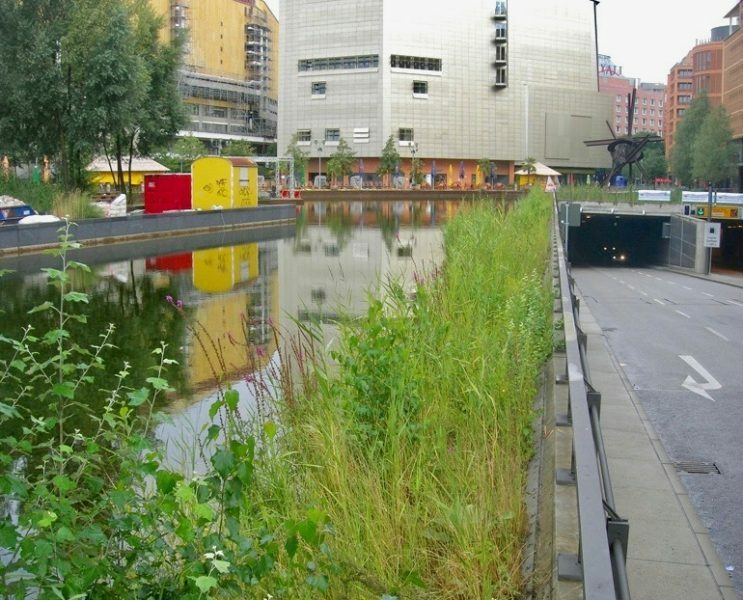 The development at Potzdammer Platz is a zero discharge development, which means that no rainfall can leave the site. All water is reused within the development, either to irrigate intensive green roofs and landscape at ground level or is used to flush toilets throughout the development. Zero discharge sites are common across Germany and also in Switzerland.